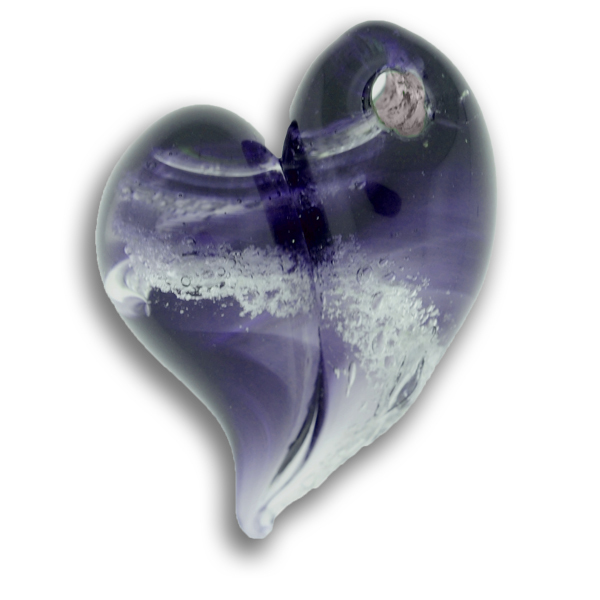 Description: This Cremation Keepsake Pendant is our classic Heart design made from optical clear Pyrex glass. A beautiful, transparent dark Plum color, and under certain types of light can be seen as a transparent black while interwoven with your loved one’s cremains/ash. A soldered Sterling Silver Jump Ring will be added for security.